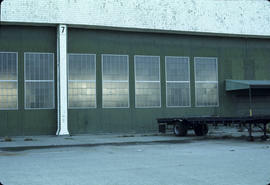 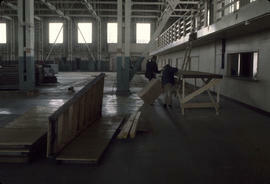 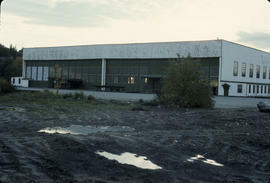 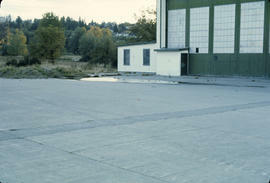 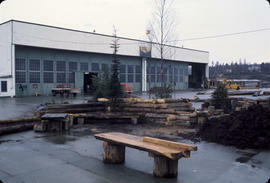 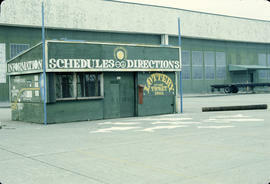 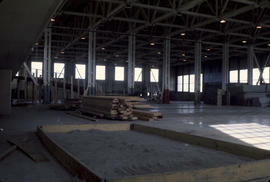 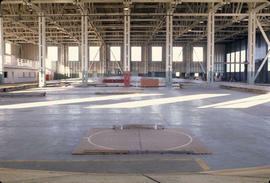 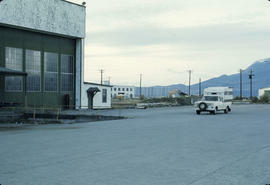 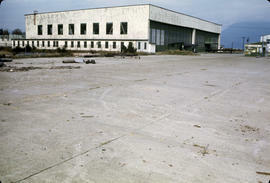 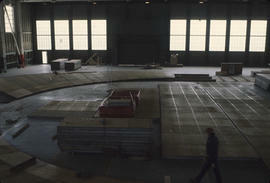 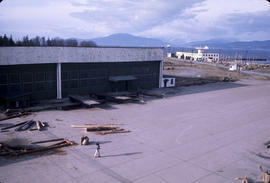 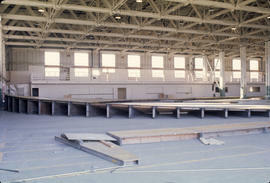 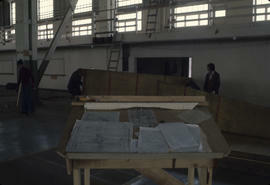 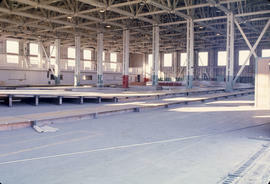 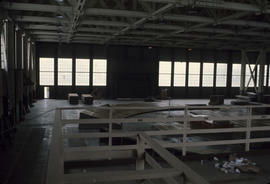 Item is a photograph showing Hangar 8, the Exhibition Hall. 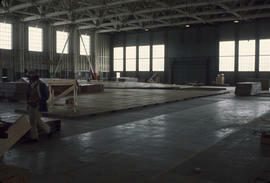 Item is a photograph showing Hangar 7. 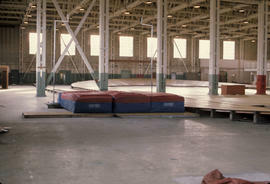 Item is a photograph showing Hangar 7 from above. 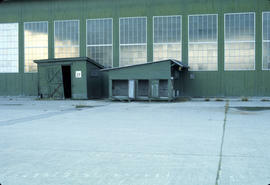 Item is a photograph showing the information booth with Hangar 7 behind. 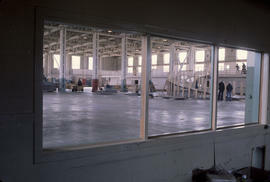 Item is a photograph showing a Habitat Staff ID portrait.